So you want to know how to create an org chart, but you aren’t sure how to go about it? Organimi allows you to create comprehensive org charts in minutes using our drag-and-drop interface. Then, you can publish your org chart online for your entire organization to see, or even share it with another member of your team to help you put it together. An org chart is a visual representation of the hierarchy within your company and staff. A great org chart helps to visualize the structure of your company and provides some essential information that your teams need to effectively interact and communicate with others in your company. Typically, org charts will take on a pyramid-like shape. They are arranged hierarchically with the CEO or founder of the company at the top of the list, C-level employees and departmental heads below them, then managers and staff further down the line. There are, however, several styles of organizational chart that you can create. 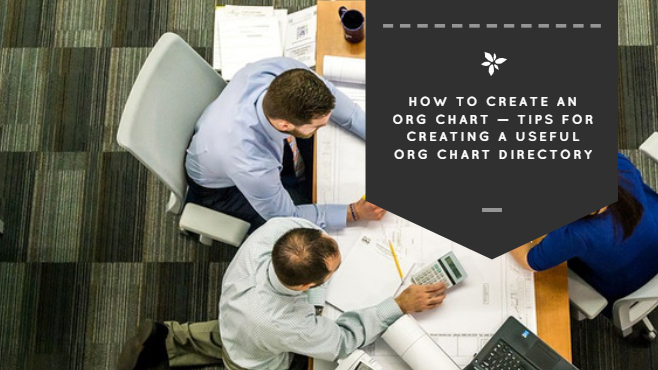 We went over some of the different types that we have org chart templates available for in Organimi in our last blog post. 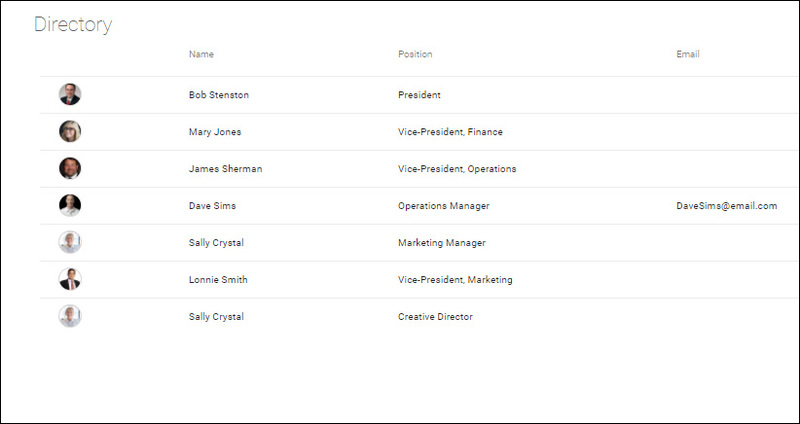 Our system allows you to select a template and begin adding your employees to your org chart within minutes. The right org chart for your company will depend on a number of factors, but the wide range of different templates and customization options within Organimi make it a great choice for nearly any organization. Beyond just providing a visualization of your company’s teams and overall structure, there are other benefits to creating an org chart that will reverberate throughout your organization. Ensuring that everyone has an org chart that they can access will help improve communication and collaboration across your company. But, there are also benefits for specific positions and departments as well. Org charts are especially helpful to employees in management roles. An org chart gives them a visual representation of their team. They can use this to evaluate their departmental resources and identify gaps in their teams. Giving managers this kind of visual representation of their team can help them to more effectively manage budgets and resources internally. Organizational charts are also beneficial for your HR teams as well. In fact, many of our users come from their company’s HR department looking for information on how to create an org chart. An org chart helps them to visualize the structure of the company and gives them an easy way to access contact information. Visualizing the number of direct reports and full-time staff members is important for HR reps who are often working on behalf of hundreds of employees at a given time. For any staff member, an org chart is useful because it helps to show how the company is structured and visualize the relationships between the different departments within the company. All employees occasionally need to contact someone outside of their home department. Figuring out who the right person to contact is can be troublesome and may require a lot of back-and-forth to find the right person. With an org chart, they can narrow down the options and locate the right person to contact more easily. The defining feature that separates Organimi from our competition is how easy to use our software is. 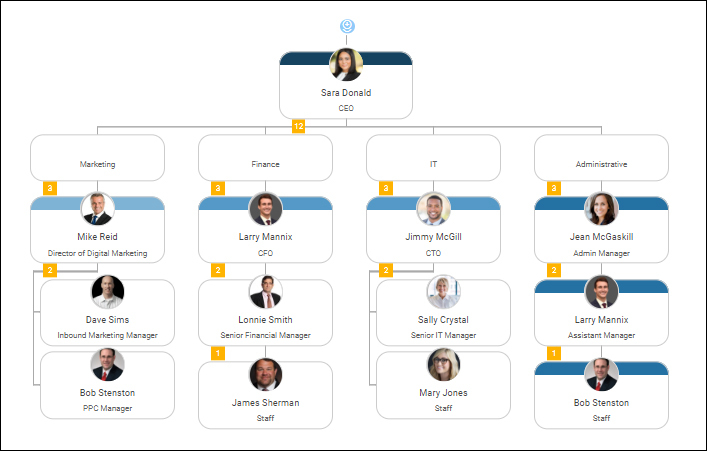 Our drag-and-drop visual interface is simple, allowing you to quickly add new team members to your org chart with just a few clicks. Using our templates, you can create an org chart without having to start from scratch. Our templates mirror the popular org chart structures that are often used with our software, ensuring that your org chart can be up and running as quickly as possible. You just have to match the fields contained in your CSV document with the data fields in the Organimi system. 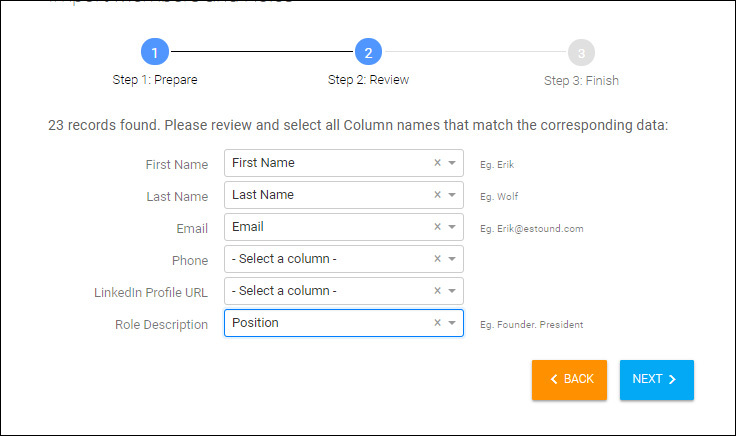 Once you’ve selected the fields, all of your team members will be imported into the system with all of their data in the right place. Once you’ve imported your roster, then you just have to put your org chart together. Our drag-and-drop interface makes this a breeze. You just select the employee on the left-hand menu and drag their profile to the correct location on your org chart. This makes it easy for you to alter your org chart structure on the fly and make sure that the document you produce accurately reflects the structure of your company, even if the structure is not typical. Once your org chart is complete, there are multiple different ways that you can export it. Of course, there is the standard “Chart” viewing option that allows anyone that you share the chart with to have access to the complete structure and hierarchical layout of your organization. Using Organimi, you can create not just an org chart but a detailed company directory for all of your staff members. You can break your organization down into departments, or provide a comprehensive list on a single chart. Being able to visualize your company structure and connect with the right party at the right time is absolutely essential for improving communication and collaboration within your company. Want to get started on your org chart today? Great! Organimi is free to use. To see reviews from our customers, check out our review on Fit Small Business.